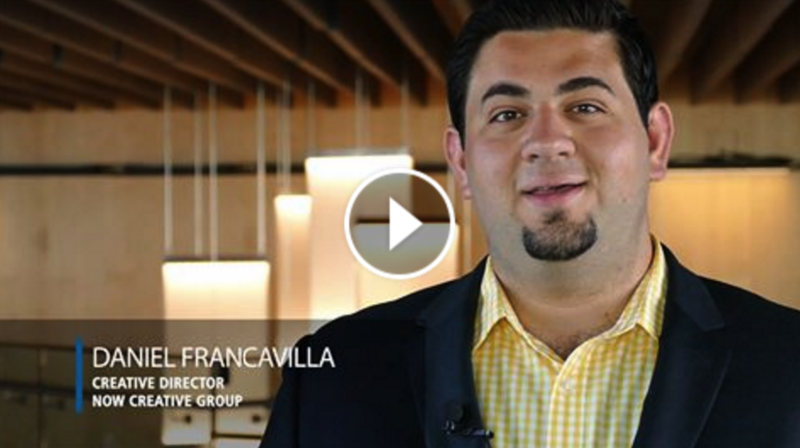 We are excited to announce the formal launch of Now Creative Group, through the intro video below. Now Creative Group is the evolution and expansion of Daniel Design, offering a wider range of services and a diverse team of talented creatives and business professionals. This website, DanielDesign.ca, remains as a home for Creative and Business Resources, covering the worlds of Design, Branding, Web Design, Social Media, Online Communication and more, to help entrepreneurs, activists, businesses and organizations achieve their goals. For creative services previously offered through Daniel Design, and to learn more about Now Creative Group, visit nowcreativegroup.com. For our other online products, please visit our secondary online home at nowdigitalnetwork.com. 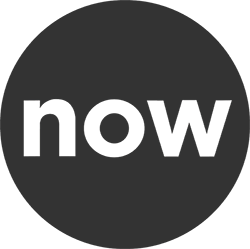 Please follow @NowCreates for more updates and share the news on Twitter. 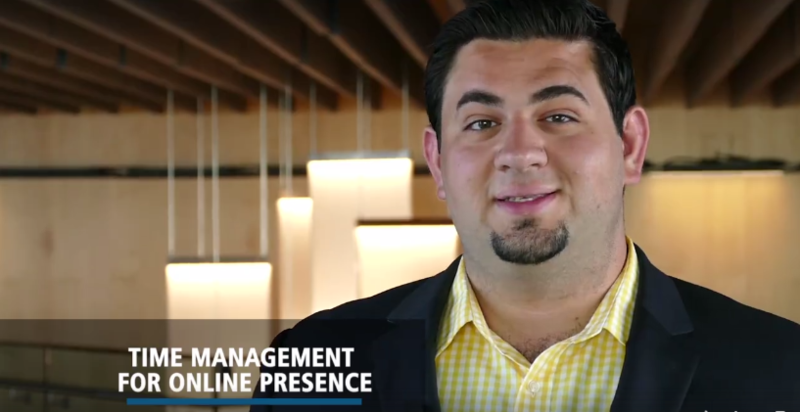 In this video, Daniel gives 3 tips on how you can save time while managing your online presence, as a busy entrepreneur focused on running your business. The Brampton Entrepreneur Centre provides weekly tips for entrepreneurs and small businesses through this #WisdomWednesdays video series, which you can watch below. Thank you to the City of Brampton Economic Development and the Brampton Entrepreneur Centre for including these tips. The Brampton Entrepreneur Centre is assists entrepreneurs and and small business in all industry sectors through accurate information, consultations, business plan reviews, seminars and workshops. Learn more about these offerings at brampton.ca/bec. Although effective Marketing can have a strong impact on consumer buying behaviour, when it comes to selling products, many marketers still adopt a “one-size-fits-all” approach instead of appealing to specific target markets. This is where multicultural marketing can be useful to Brampton businesses, offering a tailored approach for specific demographics. Here are 4 reasons why multicultural marketing can help your business. One in five Canadians is foreign born, with this number increasing substantially under our current immigration policy. Last year, Chinese and Indian Canadians spent a combined $104.4 billion annually. The average salary in Brampton is $93,917. This segment is between 30-49 years old, in the prime working age bracket and consistently beats their GTA counterparts in population growth. Companies that adopt multicultural marketing strategies will generate greater revenue by successfully catering to this demographics’ wants and needs. Adapted from The Brampton Board of Trade, Ethnicity Multicultural Marketing + Advertising, Campaign Asia, and the City of Brampton. Now Creative Group is honoured to have designed the identity for the Brampton Entrepreneur Centre’s initiative, Dream Big. Local Brampton creatives Andrew Ly and Daniel Francavilla were behind the identity and various social media and print graphics for the campaign. This fall, be inspired and informed by thought leaders, innovators and creative thinkers – headlined by David Usher – at events and programs around Brampton. David Usher understands this. The multi-platinum artist has sold over 1.4 million albums as a solo artist and frontman for the rock band Moist, won countless awards and sold-out venues all over the world, and has worked tirelessly to improve his creative process. He believes that creativity is a learnable skill that anyone can master. At Dream Big on October 29, David Usher will share his fascinating formula to stimulating creativity through a mix of music, video, and experimentation, and brings to life the core elements needed to build a more dynamic, fulfilling, and innovative creative process at work. Other Dream Big events include a Business of the Arts Workshop during the day on October 29, as well as networking and sessions on Get Your Business Up and Running, Tech Talks on The Future of Touch Technology, and more. Culture Days Brampton, an interactive, free celebration of local culture also takes place September 25-27 throughout the city, including free Social Media Workshops lead by Now Creative Group. Visit Brampton.ca/DreamBig for full details on the events and offerings of The City of Brampton Economic Development, Brampton Entrepreneur Centre, and Culture Days. If you’re looking for Marketing, Graphic Design or Social Media services in Brampton, please reach out via email to connect@nowcreativegroup.com. Brampton has launched a MakerSpace at Brampton Library, Four Corners Branch, 65 Queen St E, Downtown Brampton. Get hands-on with cool technology like 3D modeling and design software, 3D printers, robotics software and tools, and architectural modeling software. Expert support from Sheridan College is on-hand during scheduled programming times to help provide guidance and instruction on using the tools and software. Solve household or commercial design challenges, or simply create and play! Using a makerspace model, the MakerSpace Creative Hub combines manufacturing equipment and technology with community and education to help users to design, prototype and create manufactured works that wouldn’t be possible to create with the resources available to individuals working alone. It’s also a great place to learn how to use cutting edge tools, and develop 21st century job skills. Sheridan College Faculty of Applied Science and Technology’s Centre for Advanced Manufacturing and Design Technologies (CAMDT), Brampton Library and the City of Brampton Economic Development Office have partnered to establish the MakerSpace Creative Hub downtown Brampton where residents, students, entrepreneurs and visitors can come together and collaborate while sharing tools, resources and knowledge. This is the first community-based Library MakerSpace of its kind in Canada to boast a professional grade 3D printer, thanks to a generous in-kind contribution from Cimetrix Solutions, a leading provider of 3D printing technology serving academic, design and manufacturing communities across Canada. Residents can get hands-on with technology like 3D modeling and design software, 3D printers, robotics software and tools, and architectural modeling software. • The MakerSpace Creative Hub is the product of a partnership between Sheridan College and the Centre for Advanced Manufacturing and Design Technologies (CAMDT), Brampton Library and the City of Brampton. • Brampton has a strong foundation in the creative economy, employing 36,095 people from a broad range of creative and cultural industries.